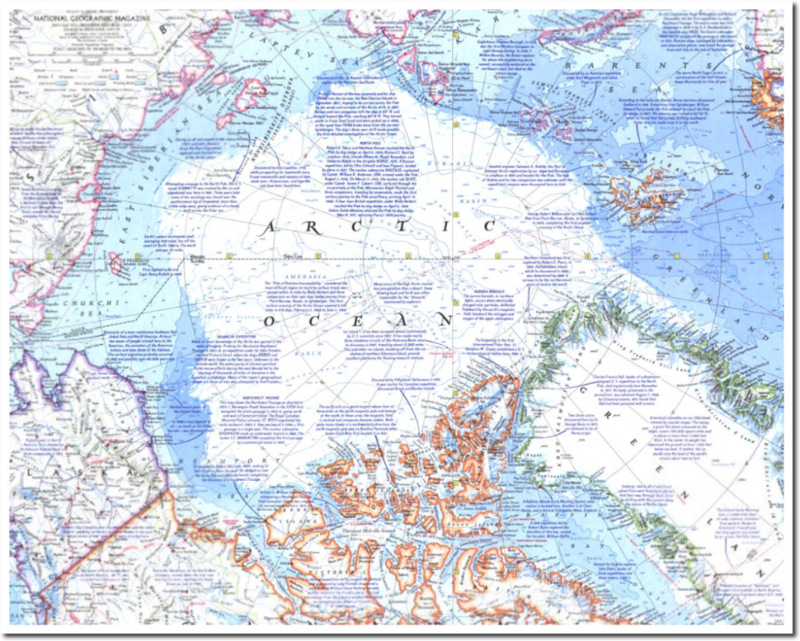 National Geographic published this map in 1971, showing the extent of Arctic sea ice at the end of summer. We are nearing the end of summer, and the ice in some regions is more extensive now than it was in 1971. 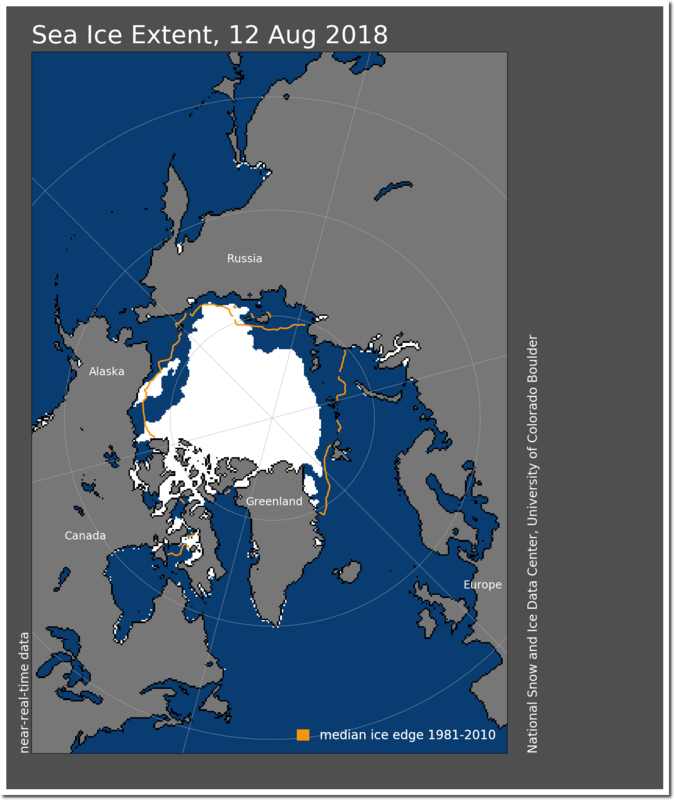 Arctic sea ice volume is fourth highest since 2003, and melting very slowly. 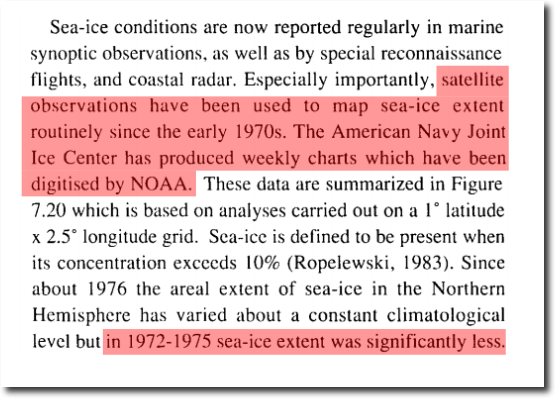 This is why NOAA hides the pre-1979 sea ice data. It wrecks their Arctic melting scam. 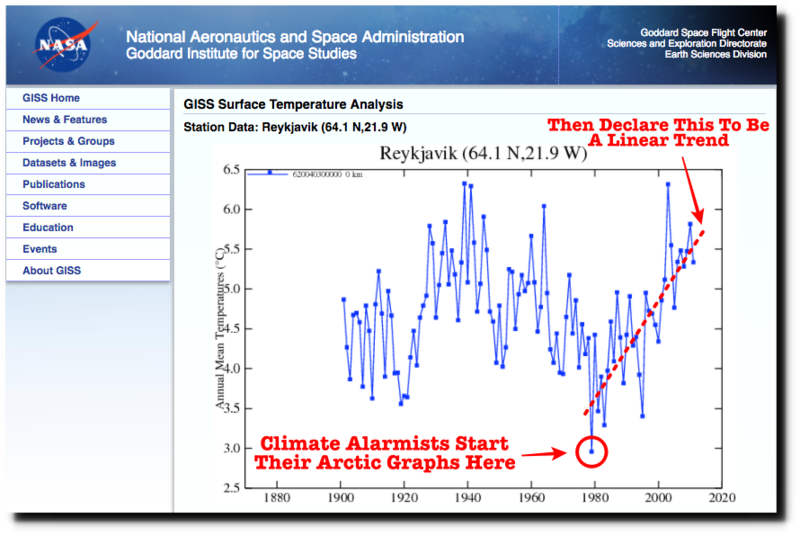 NOAA wants you to believe that time began in 1979, the peak year for Arctic cold and Arctic ice. The graph below explains how climate alarmists do their junk science. That starting point of 1979 was the first video and I blog post I ever saw of yours. My jaw just dropped when I realized that that graph was the basis of the claim that “the Arctic was at its lowest point in recorded history”. And I was teaching CAGW at the time. All I could think was WTF!, WTF! WTF!… it hit me like a sledge hammer. Not even a high school science student could get away that, yet NASA and NOAA have. NASA and NOAA have their Big Brother to thank. Because that was so egregious, I realized at had to take a very critical look at everything in Climate Science from first principles. It is also the first video I show when people ask why I have a problem with climate science. Which then can be verified by visiting PSMSL. Just thought I would let you know you are making a difference and there is a “real world” use for all this material you are producing! Great graphic. Trend? What trend? 1971. The year before I went into the active army. Brings back memories. One of those memories was the immanent ice age scare of the ’70s. I spent the next three years in the tank corps in Germany. Winters were cold. I was at Patch Barracks in the mid seventies. Germany in the ’70s was an interesting place. I went into the army in ’72 and was in the infantry in Korea in ’74….I still shiver remembering those winters. Thank God for global warming!! Ah, the winter of 87-88 in the Bavarian Alps. Powder up to my waist and not that cold. Best skiing I ever had anywhere. And I did alot of it. Starting in October in Austria where the the Austrian ski team was training and ending in April in Italy attending the Italian SF Winter warfare training. Didn’t go two days the whole period without skiing. Even spent Christmas Eve on the Brauneck in Bavaria because conditions were so unbelievably good. a record melting arctic can easily be talked into existence though the size and volume are just the usual boring average. The good thing about this is that AGW science is that it now has more cracks than the arctic ice in the hottest summer. I’m guessing we won’t be seeing any successful rowboat expeditions to the North pole this summer; too much ice this year. But maybe next year. Our Icebreaker Oden is no row boat. But it has a hard time reaching the North pool. 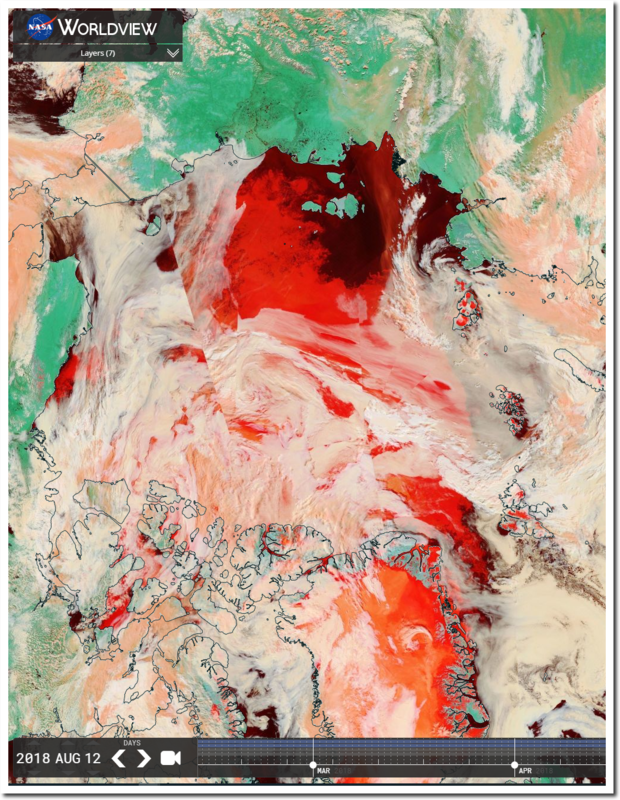 No it wasn’t, the limit shown on the 1971 map is the limit of multi year ice which was more extensive than this year. Apparently not. Perhaps you could explain why you show the boundary which is clearly marked on the map as ‘Limit of Multiyear Ice’ as being the minimum extent of the year? OMG, you really are a very stupid person, phlop. The multi-year ice is what gets carried forward. Comprehension and understanding are beyond your capability. This year is more extensive than all but about 500-600 of the last 10,000 years Phil. Don’t tell me you are yet another anti-science climate change denier. You certainly sound like one. We’re discussing the ice in 1971 and 2018 not the last 10,000 years. Yes, you guys never want to discuss the entire interglacial. Care to discuss why? 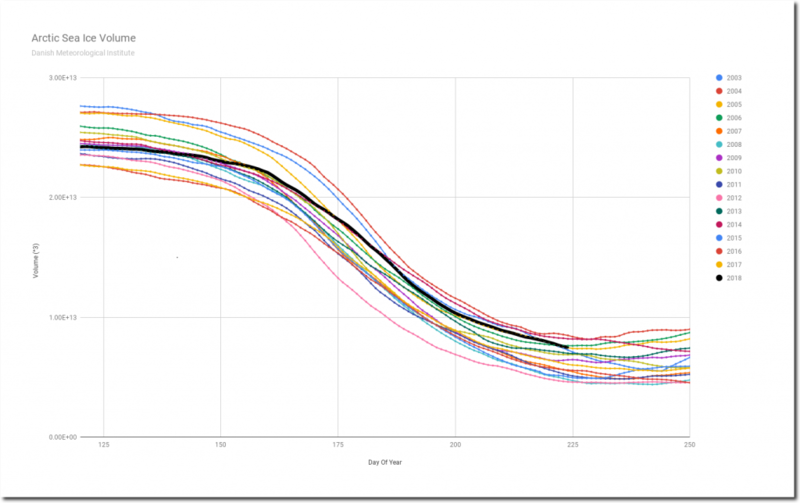 The topic of this post by Tony is “Arctic Sea Ice About The Same As 1971”, why would I change the subject? To give more context? I know that is why I mention it. Are you afraid to admit that there is currently more ice in the Arctic than the average of the past 900 years? I can’t see any information on that 1971 map saying what date it represents or how the ice coverage was mapped. Please do blow up the detail if you think it is there. 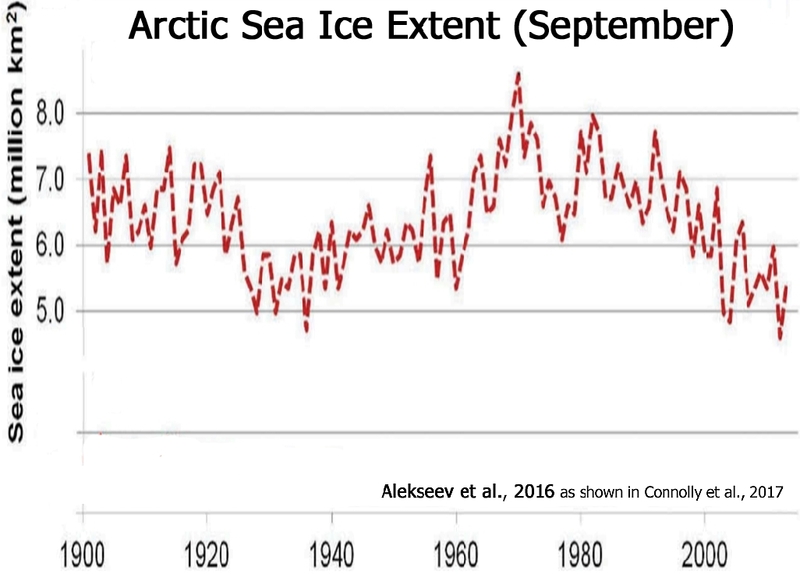 The arctic sea ice is definitely in a worse condition than it was before 2007. No amount of cherry picking graphs and comparing summers after record lows to current status will get you away from that. and it is still melting up there. I wonder where the DMI volume ill end up? Wrong again Ms Griff! There is currently more ice in the Arctic than the average of the past 9000 years. So clearly it is not worse than before 2007. Unless of course you are cherry picking the past four decades. FFS, griff .. Stop being a mindless, ignorant child-troll. Even now, the extent is similar to the 1940’s.. ALL in the top 10% of the last 10,000 years, as we thankfully warm from the COLDEST period in the current interglacial. Stop being a rabid, deliberately IGNORANT, climate change denier.